Madison (Madi) Clark faces a unique challenge: born with a type of dwarfism called achondroplasia, at 22 years old, she is just over four feet tall. But what she “lacks” in height, Madison makes up for in spirit, personality, and a broad smile that immediately lights up any room. For the last 10 years, Madison has attended Grace Community Church of Seal Beach, Calif. (Steve Williams, lead pastor). “The entire church family has been such a positive light in my life and I can’t thank everyone enough for seeing me beyond my disability and what I may look like,” Madison notes. 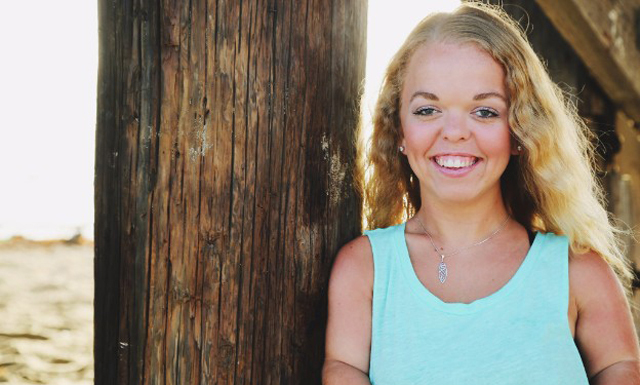 Madison has big dreams, including a desire to educate others about dwarfism. This past year, she self-published her memoir, “Always Looking Up,” which tells her story from birth onward. Madison is currently attending Cypress Community College with plans to transfer to California State University, Long Beach, in the spring of 2017. She is majoring in Health Science with dreams to go into speech pathology. “I’ve always had a love for children so my dream is to work with them in a hospital setting. I still to this day remember my speech therapist helping me as a child. I would love to be able to give back and hopefully inspire another young child as well.” You can read more of Madison’s story and purchase her memoir on her website,hulamadi.com, and send her a letter of encouragement at hulamadi@aol.com.